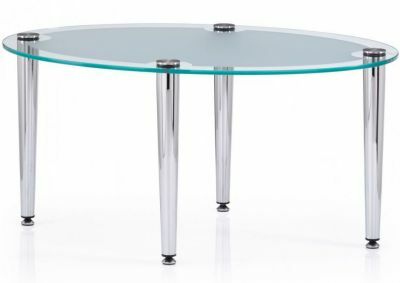 Oval shaped glass coffee tables with a frosted glass top and Chrome tapered leg design.Glass is tempered safety glass. Available from stock and delivered in 5-7 days. 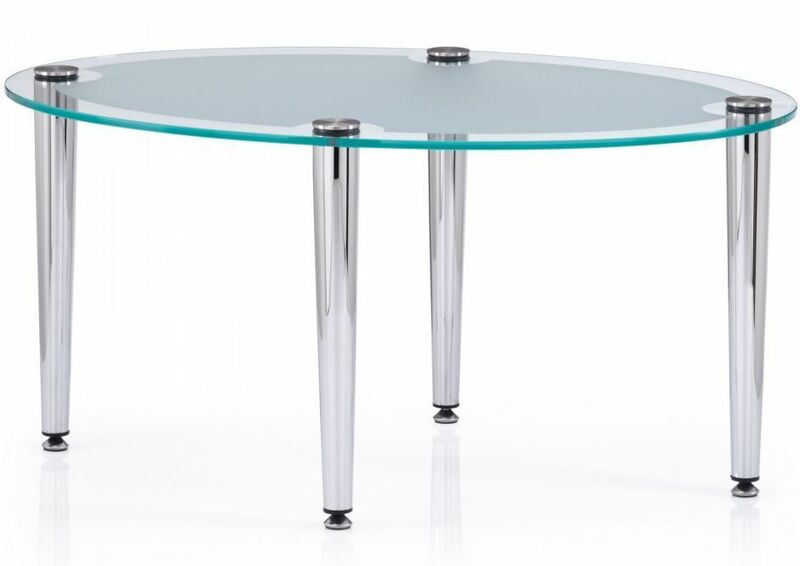 Delicate modern design coffee table with a frosted glass tempered top with a clear glass border. This range of furniture has an approximate lead time of 5-7 working days.